The Charlie Appleby stable has already struck early in the Melbourne spring carnival with Jungle Cat’s Group One win at Caulfield. Now Blair House gets his chance to add another when he makes his Australian debut in next Sunday’s Underwood Stakes at the same track. The first of the English trainer’s spring raiders for this year stepped out on Saturday with Folkswood disappointing in the MRC Foundation Cup before Jungle Cat delivered with a last-stride victory in the Sir Rupert Clarke Stakes (1400m). Blair House is one of three Godolphin horses sent to Melbourne early by Appleby with his first aim the weight-for-age Underwood (1800m). “Blair House is in good order,” Appleby said. Blair House won the Group One Jebel Hatta (1800m) in Dubai and was unplaced in the Group One Dubai Turf (1800m) on World Cup night at Meydan in late March, the last time he raced. His Underwood performance will shape the rest of his Melbourne spring campaign. 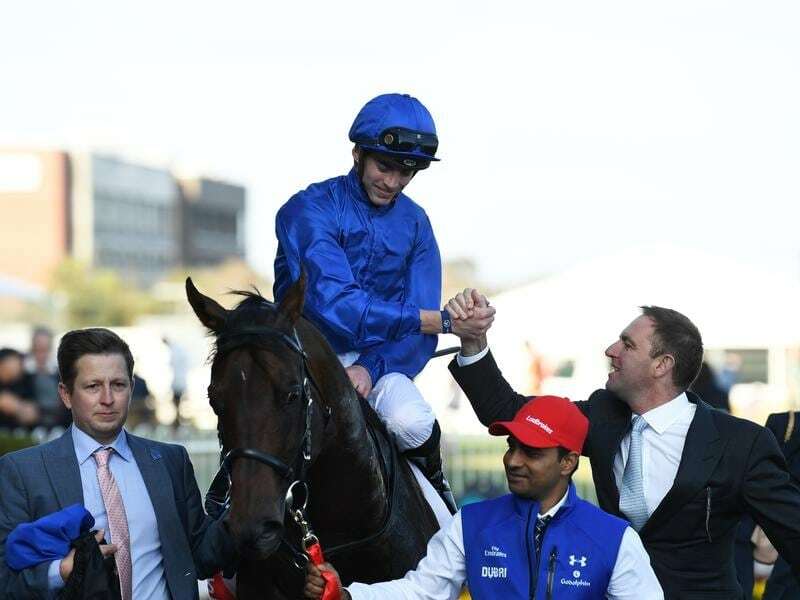 “He’s a horse that could potentially come back to the mile or I’m hoping that we’re going to be able to step him up to the mile-and-a-quarter (2000m),” Appleby said. “I feel that just gives him a few more options. The $2 million Mackinnon Stakes (2000m) is at Flemington on November 10, two weeks after the $5 million Cox Plate (2040m) at Moonee Valley. Appleby’s travelling foreman Chris Connett has been with the three horses at the Werribee quarantine centre since they arrived in Victoria just over two weeks ago. He said Blair House had taken to it well. “He’s a horse who trained out in Dubai over the (northern hemisphere) winter so he’s used to training on a track and it’s really quite nice that we’re here on our own at the moment,” Connett said. “We’ve got the whole track for three horses, so I think that’s been a real bonus as well. “He had five starts in Dubai and then he got put away with this being a target to come down here.